The arrival of the new 280-character limit on Twitter has made the social media network a lot harder to quickly scan and just further proves that words in tweets are useless. So, how should we all use this multi-billion dollar platform now? 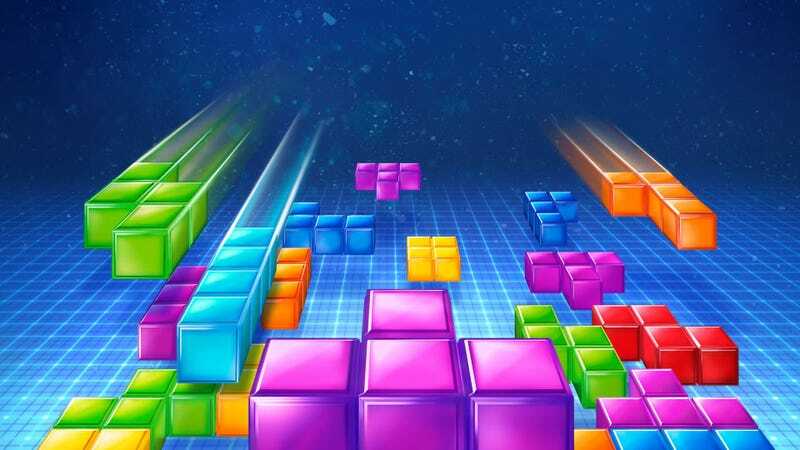 One imaginative developer has shown us all how to play Tetris, and it seems like the perfect way to forget about all the Nazis. 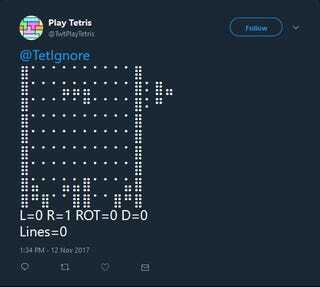 Over the weekend, Salvatore Aiello uploaded a project to GitHub that allowed anyone on Twitter to control a very slow moving game of Tetris by tweeting at his account, @TwtPlayTetris. Taking advantage of the robust new character limit, the account uses Braille unicode to form the iconic Tetris block shapes. Anyone on Twitter could mention @TwtPlayTetris in a tweet and type LEFT RIGHT ROTATE or DROP to control what the next move would be. Much like Twitch Plays Pokemon, an algorithm would tally the votes and determine what command the people have chosen, sending out a fresh tweet with the game’s progress. At the moment, the account isn’t working as intended. Aiello tweeted this morning that his API key had been revoked for some reason and he’s working to get it reinstated. But playing crowd-sourced Tetris is only part of the point. People are playing Connect Four, Chess, Go, and more through tweets right now, and you should all be inspired to adapt your favorite old school game so that we can finally rid ourselves of retweets, quote tweets, tweetstorms, and attempts to launch a nuclear war. In other words, it’s time for some game theory.